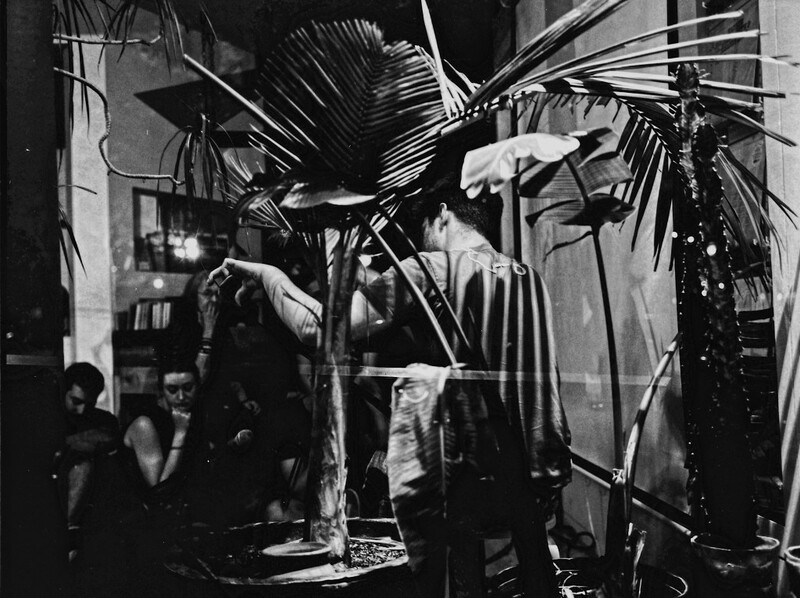 Rue Bainbridge is a live conversation between a sound artist and video artist. 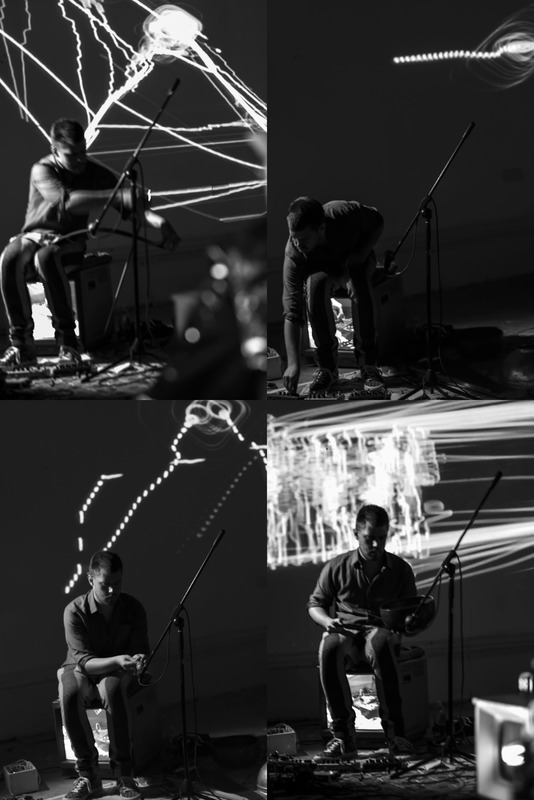 Benton C Bainbridge’s custom video synths generate light drawings with Gryphon Rue’s saw, overtone singing and gongs. Rue Bainbridge enact a living media artwork: a space for collective dreaming, where quirks of human hand and electricity spawn impressions of nature and abstract language. Rue summons a polyphony of voices––at once creaturely and human. 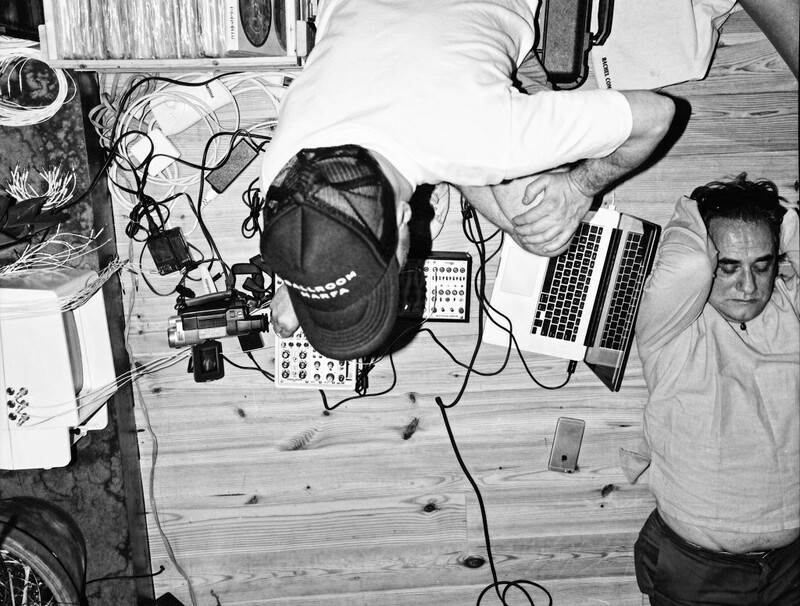 Using a hacked game console driven by modular synths, Bainbridge coaxes voltages into waves of dynamic energy. 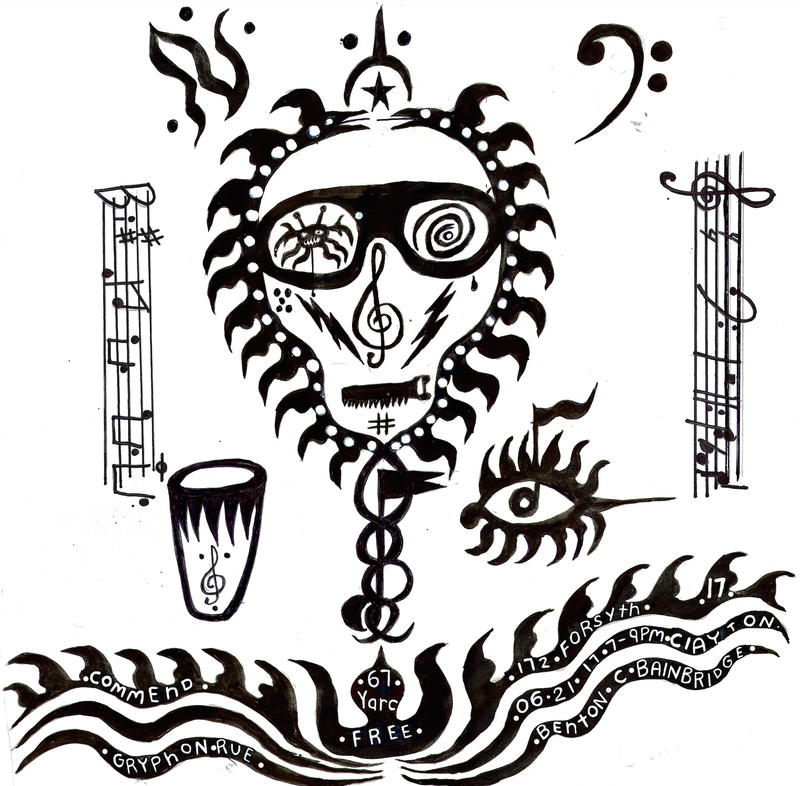 The drawings reply to Rue’s electro-acoustic improvisations with evolving transformations, scoring the sound while the music shapes the video. Glowing lines contort into arabesques and serpentine coils. Ethereal pictures emerge from the earth-bound instruments; elemental scenes, avalanches in wintry landscapes, rocks careening down a mountainside. Pure and synthesized tones cast an aura of suspended disbelief; meditative, emotional, hypnotic and intense. 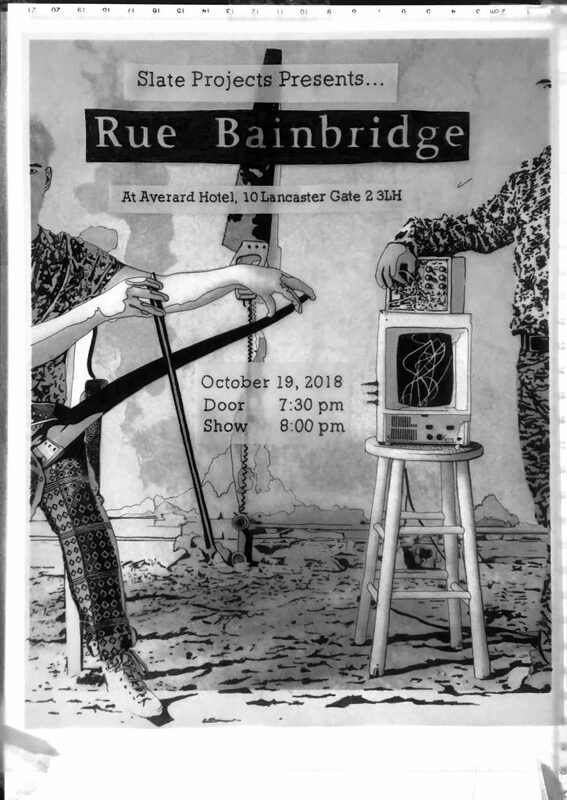 Rue Bainbridge is the media art duo of Gryphon Rue and Benton C Bainbridge, intersecting expanded cinema with improvised music in a dynamic response to specific sites and audiences. The project has been supported with residencies at spaces in transition: an Italianate palazzo that housed formerly wealthy seniors, an 18th century hotel favored by rock stars, and an officer’s house on a former military island. Rue Bainbridge have been presented by Slate Projects, Center for Visual Music, Public Works at Governor’s Island, Andrew Freedman Home, and Shigeko Kubota Video Art Foundation. In early 2019 Rue Bainbridge will perform at Hauser & Wirth in Los Angeles. Projects are realized as immersive audiovisual performances, yielding single-channel artworks with decentralized provenance. Rue Bainbridge collapse categories: handcrafted synthesis, folk-tech, maxi-minimalist, future nostalgic. 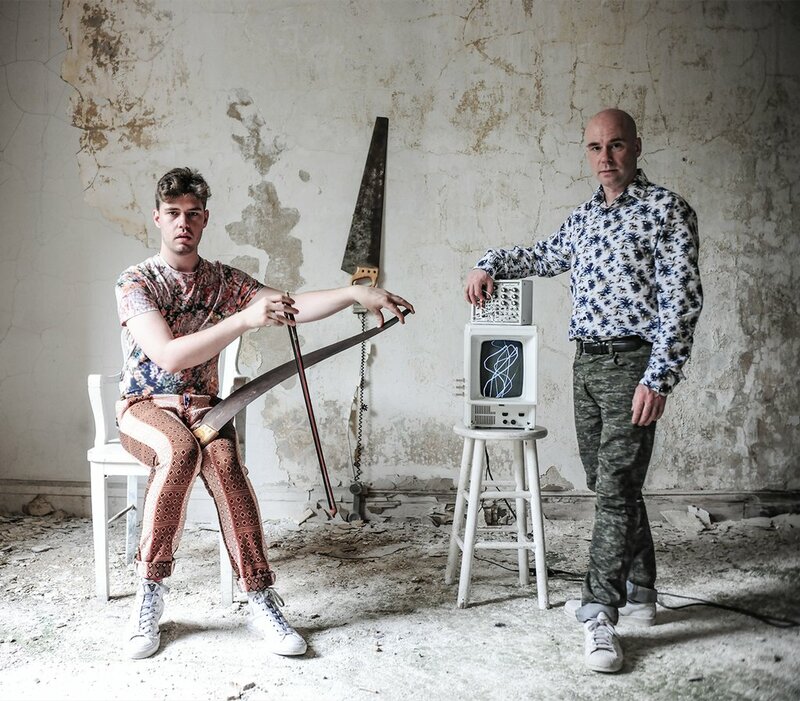 The duo play 20-50 minute structured improvisations, presented in site-specific installation environments. They perform side-by-side, sending audio and video to a PA and projections, which shine above and onto the artists. Close-up cameras feed CRTs which amplify the performers’ micro-movements. Benton C Bainbridge is a media artist working with custom digital, analog and optical systems of his own design. Individually, Rue Bainbridge have presented on 5 continents, at Whitney Museum of American Art, Museum of Modern Art, Lincoln Center, Museum of the Moving Image, American Museum of Natural History, The Kitchen (NYC), Frieze Art Fair (NYC), EMPAC (Troy, NY), SFMoMA (San Francisco), Hirshhorn Museum and Sculpture Garden (Washington, D.C.), Montreal Museum of Fine Arts, Ballroom Marfa (Marfa, TX), Boston Cyberarts Festival, l’Auditori (Barcelona), Fundación Juan March (Madrid), LUX2006 (Sevilla), Auditorium Parco della Musica (Roma), Sonic Acts (Amsterdam), Teatro Colón CETC (Buenos Aires), International Horticultural Expo (Xi’an, China), Dak’art Biennale (Dakar, Senegal), and MTV Networks (global).